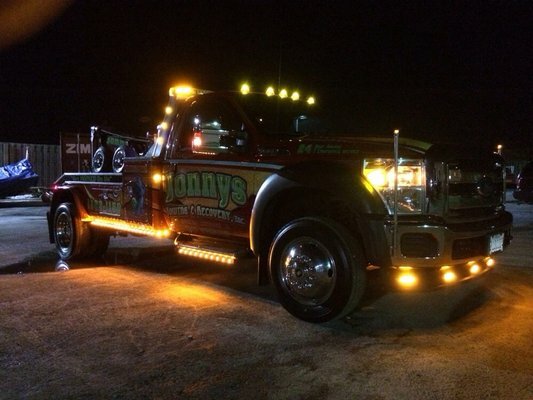 We’ve always believed the appearance of a towing company’s tow trucks are a reflection of their professionalism. 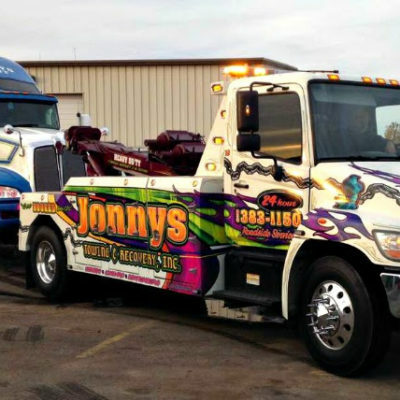 So not only can we have a tow truck anywhere in Elk Grove Village within 20 minutes, you’ll also be assured you’re dealing with the best in the towing business throughout all the Northwest Suburbs when you see one of our meticulously maintained, boldly emblazoned tow trucks arrive for any of your towing and roadside assistance needs. You don’t need a Grenadier to save the day if you’re having after hour vehicle problems. We offer 24-hour emergency towing in Elk Grove Village every day of the year. Whether you need towing or roadside assistance for tire changes, battery jump starts or vehicle lockouts, we will respond fast with courteous and knowledgeable tow truck drivers that know Elk Grove and the surrounding area like the back of their hands.